Tommy G has a 5-Star rating and leads the company in total reviews, making this pro a ReviewBuzz Rockstar! I have 2 years experience in electrical, plumbing, and well drilling along with 4 years experience installing and servicing HVAC-R. I have multiple certifications including my EPA license as well as my NATE and HVAC-R certifications. Tommy was great. He gave an accurate estimate, worked quickly and was here when he said he would be. Couldn't be happier. I called a little after 9 am and had someone there before 10:30. I can't say enough good things about Tommy and Jay. They were efficient, worked well together, and were extremely thorough. They even went back and did a final check before leaving and found a new leak that could have caused a lot of trouble if they had not been so diligent. They did a great job, and we are extremely pleased with their work. 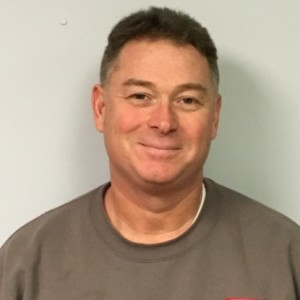 Tommy Gleason from MB Heating & Cooling did our fall service for our furnace, check batteries in smoke alarms, flushed water heater and all other items listed on our service contract. Tommy is always very thorough, informative with repairs if needed, professional and polite. 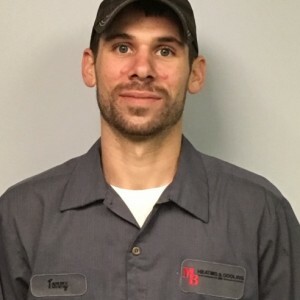 I would recommend Tommy Gleason as a excellent HVAC Service Technician. Great customer services starting from the first phone call in the morning. Tommy was very helpful and courteous. He explained this issues clearly and gave me options, which i greatly appreciated. Will diffidently be a repeat customer!! Thank you!! Great explanation of our system and prep for fall, by Tommy Gleason. Tommy from MB Heating and Cooling answered my after hours service call on Saturday. We have recently purchased a new system from MB, but have not yet had it installed. The existing system stopped working properly on this incredibly humid day. Tommy said no worries, he'd get us cool one way or another. He promptly came, checked things out, put in a new fan motor, and had us working right away. Thanks so much Tommy! Tommy G. was extremely professional from the moment he walked in the door. 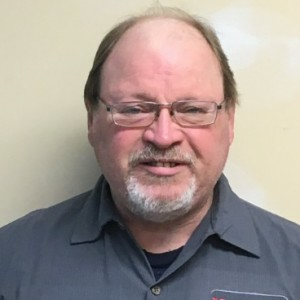 His professionalism was demonstrated in his personal introduction, his appearance, his demeanor, and his quality work while installing a new gas line for a stove. Upon completion of the work, he performed numerous safety inspections, and cleaned up the area in which he had been working (However, there was minimal 'mess' to be cleaned up) Before Tommy departed, he made sure to provide a recap of services provided, walked me through the work that had been completed, and offered a card/sticker with an emergency contact, should it be needed over the next couple of days. 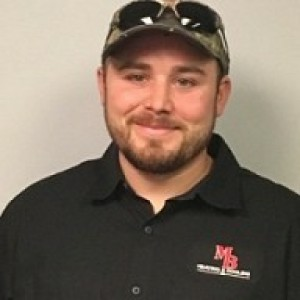 I would highly recommend Matt (Home Solutions Specialist who provided the initial estimate/quote), Tommy G. and the team at MB Heating and Cooling for your home gas line needs. Tommy was a great help. He worked with me to resolve my HVAC issues with insight and professional courtesy. He was both professional and personal in his work. Tommy G was on time for the scheduled install. Very Professional, informative and no issues. The job site was cleaned up. The generator looks great and runs great. The generator ran the whole house with no issues. Wonderful service on an evening weekend call. Tommy was very knowledgeable, kind, professional, and fixed my issue quickly. I will definitely be requesting him for all my heating and cooling repairs in the future. Thanks again!! Tommy G came out to check my air conditioner per my maintenance agreement I purchased in the Fall. He was prompt, courteous and very knowledgeable. He explained everything to me in a way I could understand it. I would recommend MB Heating & Cooling to my family and friends.